The Boka Collection sleek and functional design adds a stylish touch to any high traffic area. 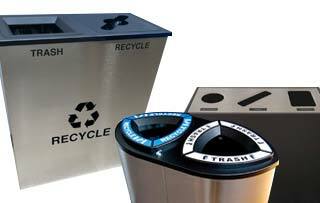 With prominent labels, these receptacles will ensure you waste, and recyclables are properly sorted. 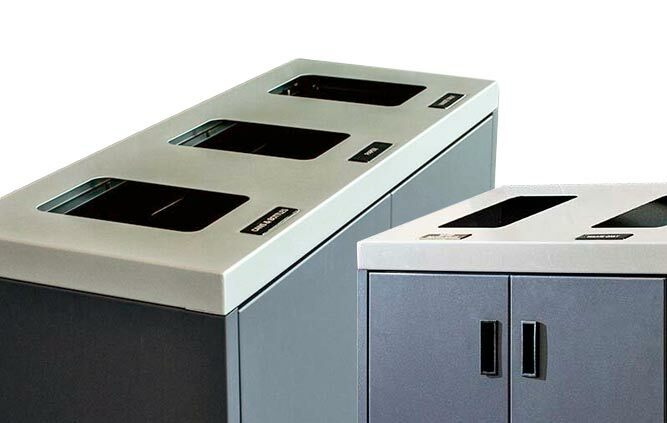 These receptacles are built for safety & durability, making them ideal for indoor areas that require fire resistance. The Double & Triple Boka feature an interior gas piston hinge, making them easy empty and maintain.